The Clipper Race fleet is preparing to embark on the ‘The Big One’, Race 9: The Race to the Emerald City across the world’s biggest ocean, the North Pacific. 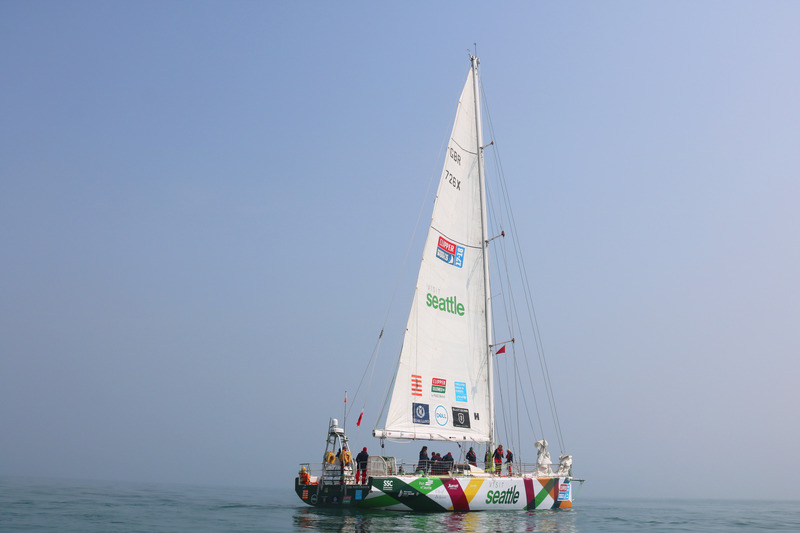 Approximately 5,600 nautical miles in length, Race 9 from Qingdao, China, to Seattle, USA, will see the eleven Clipper Race teams battle cold temperatures and big conditions of the North Pacific, with the famous Pacific Rollers allowing the Clipper 70s to surf at 30 knots down into the trough ahead. At times the closest people will be those in the International Space Station. 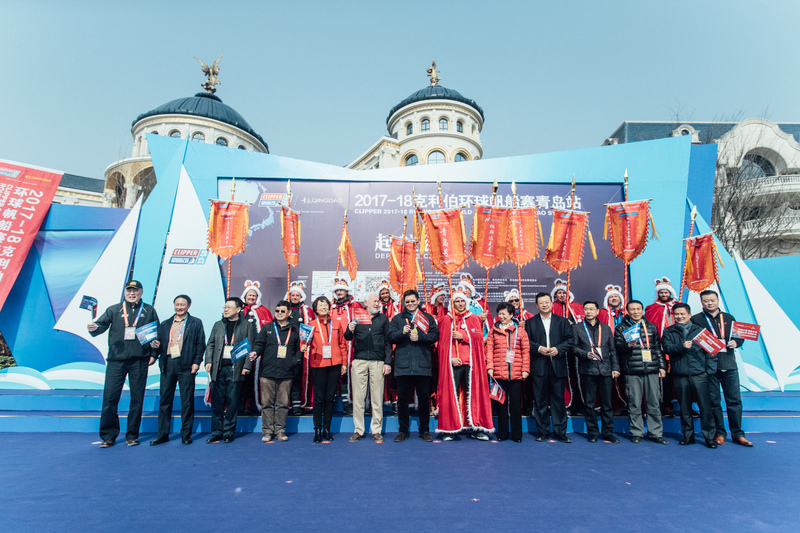 Nearly 220 non-professional Clipper Race crew members, representing 28 different nationalities, will take part in the arduous race, after departing the brand-new Wanda Yacht Club in the West Coast New Area of Qingdao, following a record seventh consecutive stopover in China’s Sailing City which saw thousands visit the Clipper Race fleet of eleven stripped back ocean racing yachts. Speaking at the colourful and entertaining departure ceremony, Madame Zang AiMin, Executive Vice President of Qingdao Olympic Sailing City Development Association and Vice President of the Qingdao Major International Sailing Events Organising said: “The new stopover location in the West Coast New Area has been a milestone for the seventh consecutive Clipper Race stopover in the city. I would also like to extend my warm thanks to Clipper Race Co-Founder and Chairman Sir Robin Knox-Johnston and the Clipper Race Officials. “On behalf of the Organising Committee and Qingdao citizens, I would like to extend our sincere wishes to all the crew, we wish you fine winds and all the best. 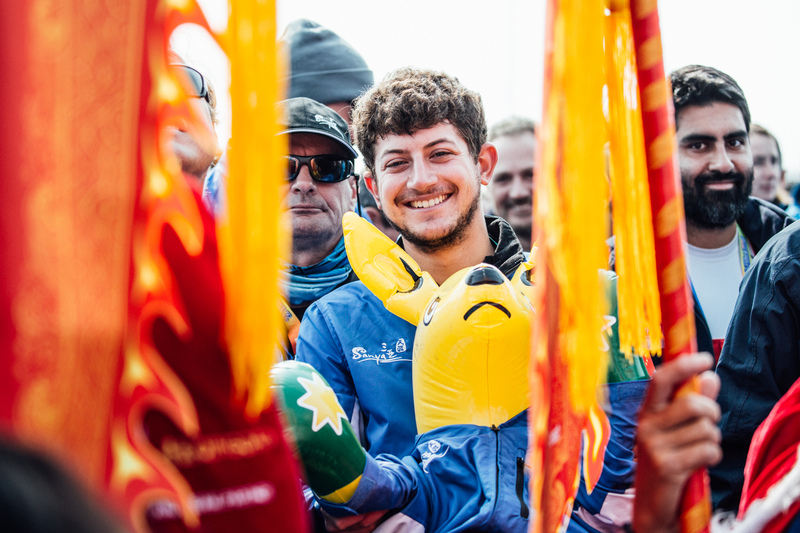 The teams bid the people of Qingdao one last farewell with a parade of sail inside the marina, before beginning the motor towards the start line. After approximately 24-29 days of non-stop racing in some of the most extreme conditions of the entire circumnavigation, the Clipper Race fleet is set to arrive into Seattle’s Bell Harbor Marina between 14-19 April. It will be the second consecutive stopover in the city, with the Clipper Race previously visiting during the 2015-16 edition. 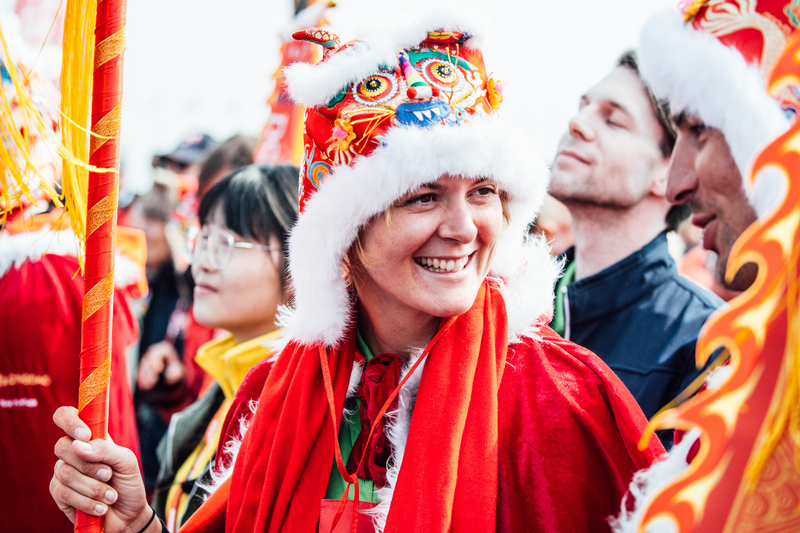 Visit Seattle team entry Skipper Nikki Henderson, who at 24 is the youngest ever Clipper Race Skipper, led the team to its second race win in Qingdao. On racing to her home port of Seattle, she said: “We’ve been waiting for this for a long time and we can’t wait to get to Seattle. But there is a big trip in between so I think there is a natural, healthy amount of apprehension about it. Of course, we’re excited too and we can’t wait to get going. Due to fog, the decision was made to delay Race Start, with the teams continuing to motor through the night. The weather cleared enough for the Le Mans Start to be held at 0800 local time (0000 UTC).